Quickly and easily remove dirt, debris and traces of make-up with this soothing cleansing milk formulated with oat-vegemilk extract from oats and a variety of plants. This hydrating milk that does not contain any skin irritants helps rebalance and soften rough dry skin by reducing the loss of moisture from the skin. 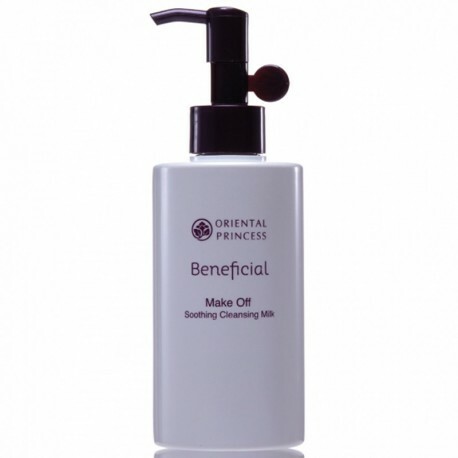 Use 2-3 drops of Make Off Soothing Cleansing Milk on a cotton wool to cleanse off makeup around the eyes and face. Repeat until the cotton wool is clean.